The speaker of Somalia's parliament has resigned after a dispute with President Mohamed Abdullahi Mohamed. 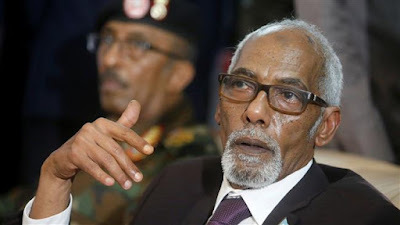 The resignation of Mohamed Osman Jawari came on Monday after the seizure of $9.6 million in cash at Mogadishu airport from a plane that had landed from the United Arab Emirates, according to police and government sources. The Mogadishu government confirmed the seizure, but did not say what the money was for. The mystery cash has fueled a widespread view among Somalis that the political problems in their country are the work of foreign powers, said Rashid Abdi of the think-tank International Crisis Group. The speaker's dispute with the president had simmered for weeks and came close to violence. Last week, a no-confidence vote against him did not go ahead after he and his opponents arrived at parliament with armed guards. The president and speaker have long been rivals, analysts said, with much of their enmity fueled by the perception that they back opposite sides in the dispute that erupted last year between Qatar and Turkey against Saudi Arabia and its ally, the UAE. The Arab states have strong trading links with and influence in Somalia, which lies across the Gulf of Aden, although this clout is offset by the sway of Turkey, one of Somalia's biggest foreign investors and the owner of an in-country military base. It was unclear if Jawari's resignation would ease the recent tension, and there was no immediate comment from the president, whose fragile administration is partly propped up by African Union peacekeepers. Somalia has been in a state of lawlessness since the early 1990s, when former dictator Mohamed Siad Barre was toppled.